Communication is an important part of our lives and effective communication should be able to span distance and time. With the advancement of technology, the way people communicate has been revolutionized and the world is now a “global village.” In Africa, there has been a drastic increase in communication as developing countries have embraced technology as a means to enhance communication. The ownership of computers and smart phones are on the increase. 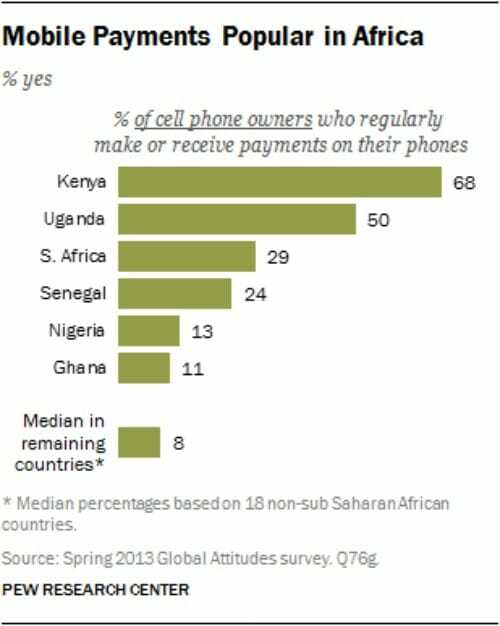 This can be seen in research conducted by the PEW Research Center in the chart above, which shows the percentage of people with mobile phones and Internet access throughout the continent. The emergence of computers, Internet, and smartphones is shaping the future of developing countries. People who use their Internet-ready computer and smartphones tend to carry out a lot of other tasks with their devices besides making and receiving calls. These include sending text messages; taking pictures; recording videos; and browsing for information on topics like health, politics, and news to keep them abreast of the daily happenings around them with the aid of compact yet powerful devices. There is also a shift toward conducting transactions online that involves making and receiving payments, which is reflected in the below chart. This process makes the conducting of business a lot easier and paves the way for economic growth. For example, banks and e-commerce solution providers have presented consumers with a flexible system for their online transactions. 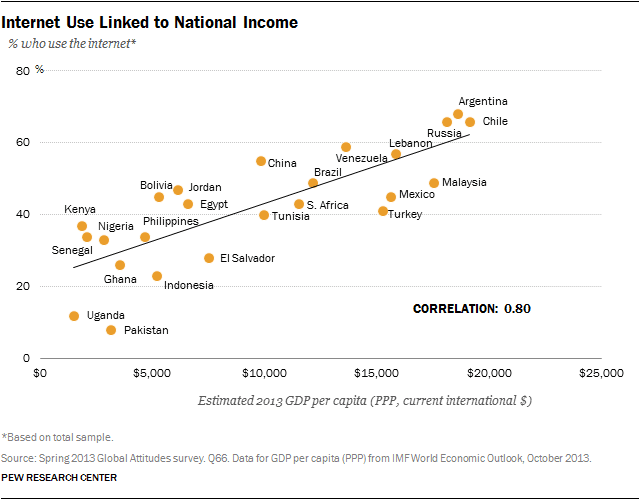 A link has also been shown between Internet usage and national income: countries with a higher number of Internet users have a higher national income (pictured below). The telecommunication and IT sector has found a large market in these developing countries and are ready to invest aggressively. This is a step in the right direction as the investment will surely be accompanied by increased employment and revenue generation, which is a big issue for developing countries with high rates of unemployment. In fact, many small- and- medium-scale businesses have also been built around this emerging form of technological advancement. Entrepreneurs now have sustainable businesses and are even ready to employ others under them, thus creating more jobs. More sales and leads are also being generated with online ads and social media marketing. These new platforms are able to reach a larger consumer base by tapping in to the potential of the Internet. 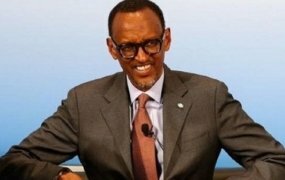 Several big companies, such as Microsoft, Google, Orange, and IBM, have been setting up offices in Africa to have access to this revolutionary growth and technological advancement. Case in point, last year, Microsoft announced a program called “SME4Africa” with the aim of getting a million small- and- medium-sized enterprises online. Google’s Chairman, Eric Schmidt, also spent a week in sub-Saharan cities and was enthusiastic about Nairobi, writing, “Nairobi has emerged as a serious tech hub and may become the African leader.” Therefore, much research in to how companies can profit from computer technology and smartphones is being conducted, which will likely encourage further investment.